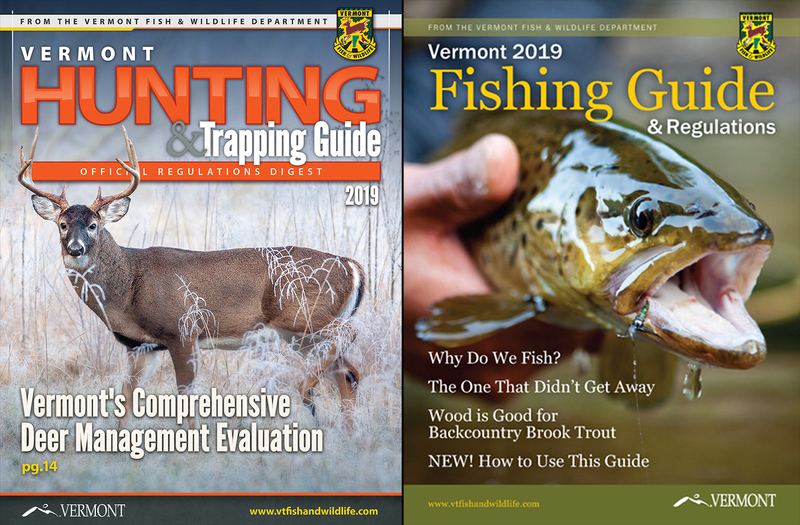 MONTPELIER, Vt. – If you are going ice fishing soon, planning a family fishing trip next summer, or want to check deer season dates for next fall you will want to get copies of the 2019 Vermont Hunting and Trapping Guide and Fishing Guide. Both are available free where licenses are sold and from Vermont Fish & Wildlife offices statewide. The two publications are updated with the latest laws and 2019 season dates as well as a lot of additional helpful information.